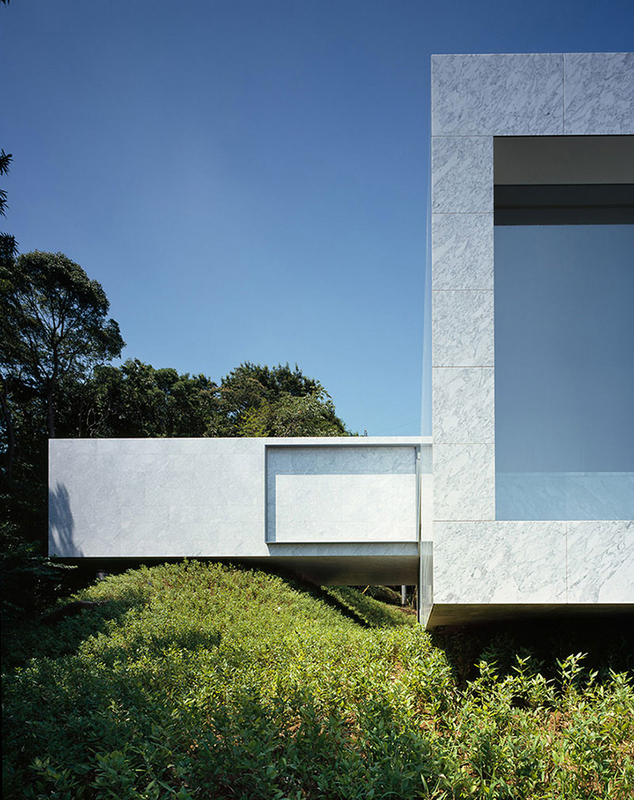 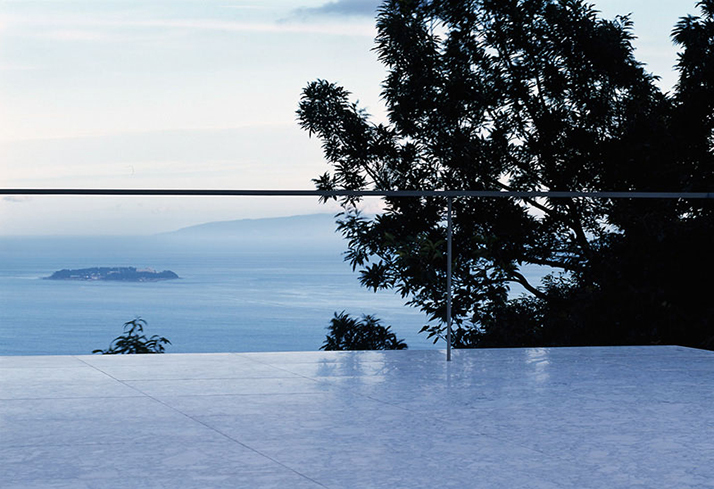 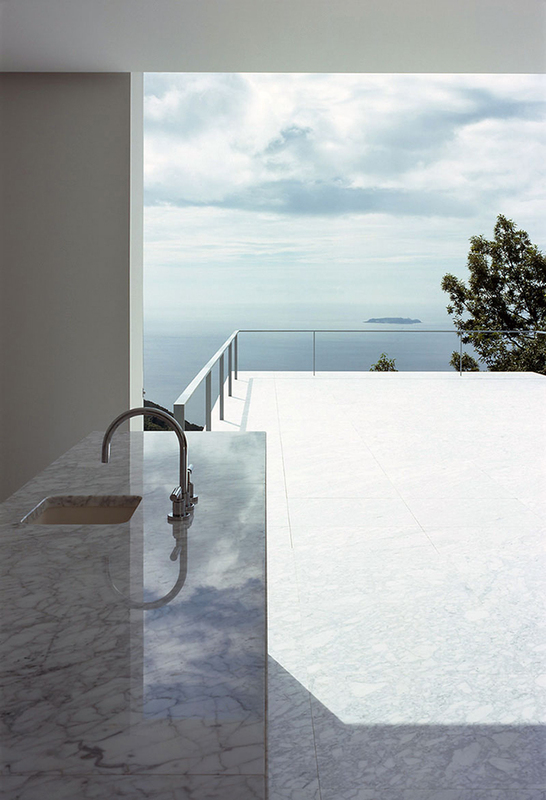 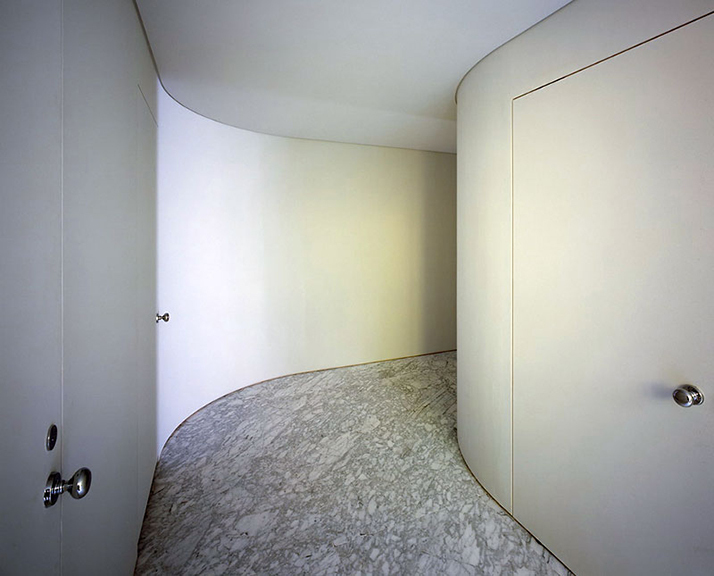 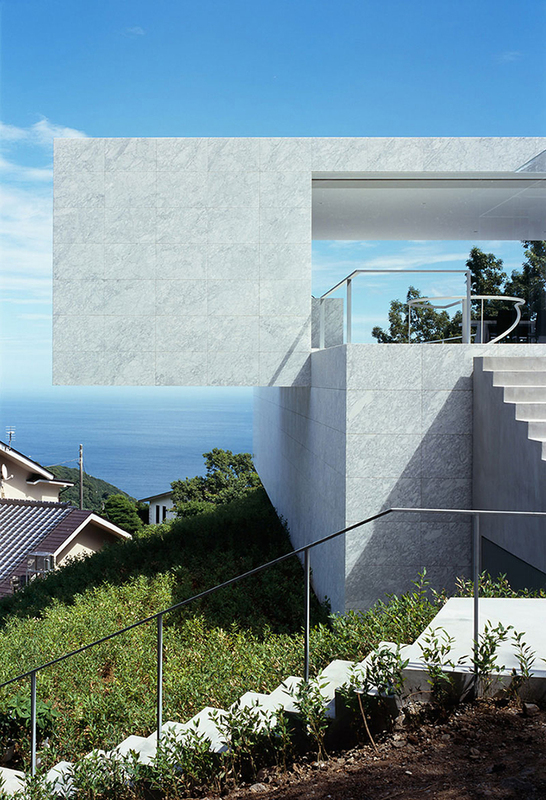 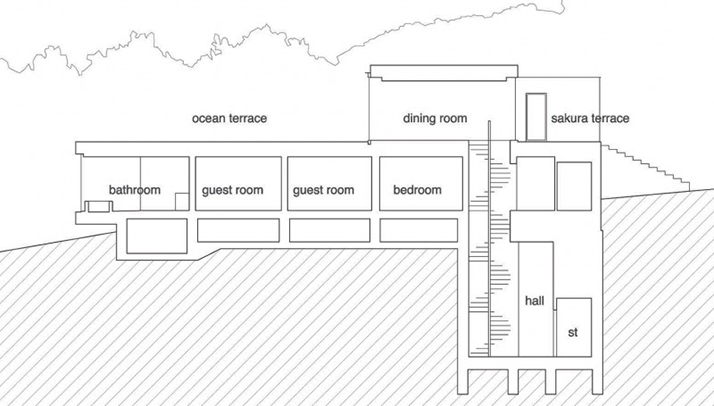 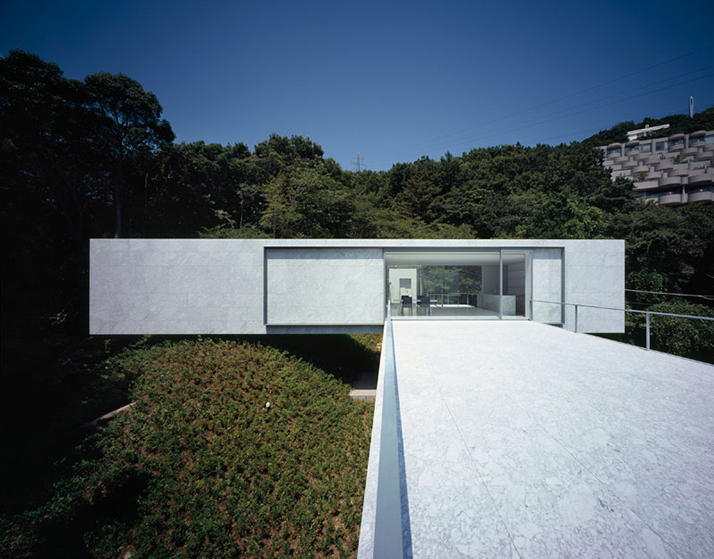 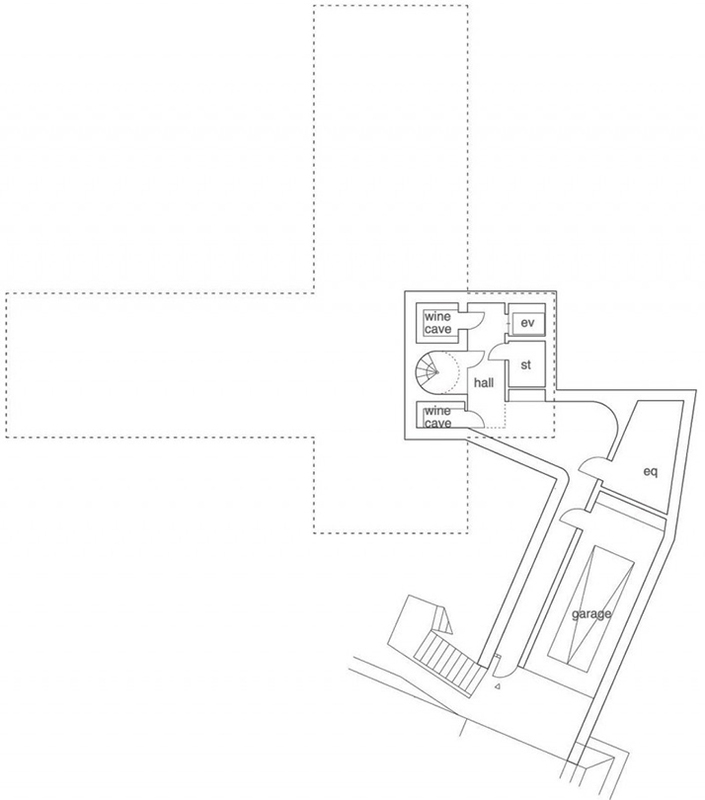 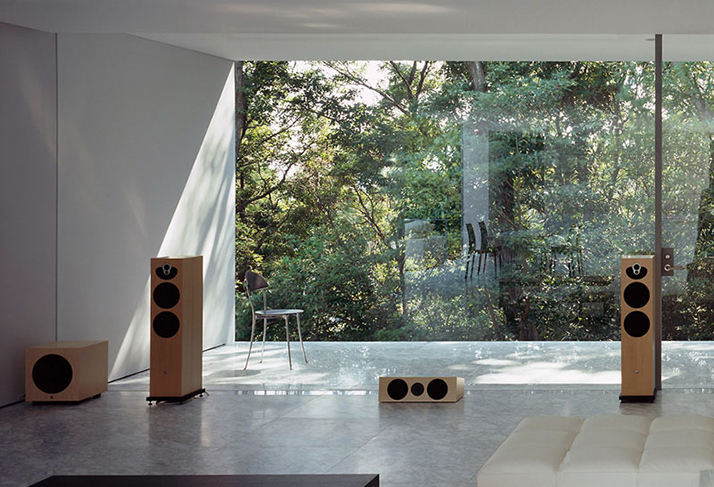 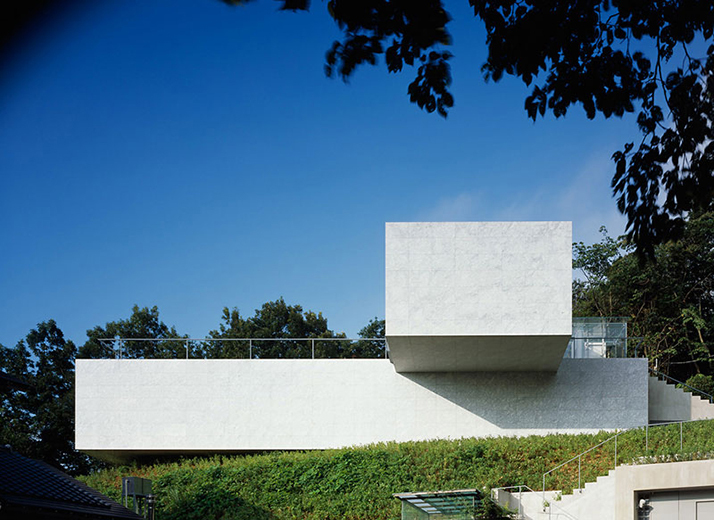 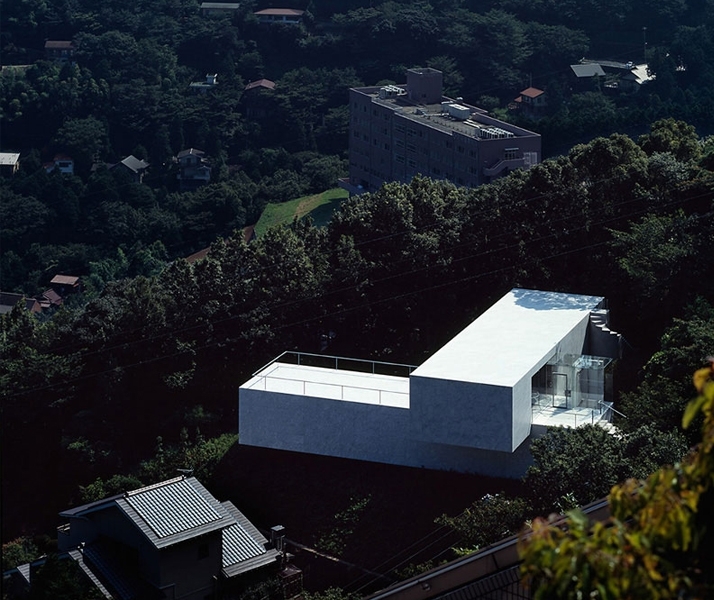 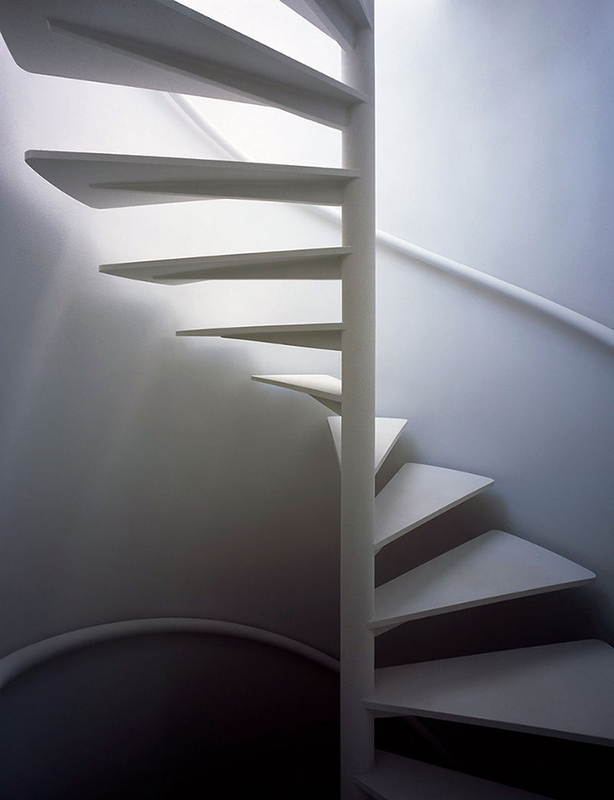 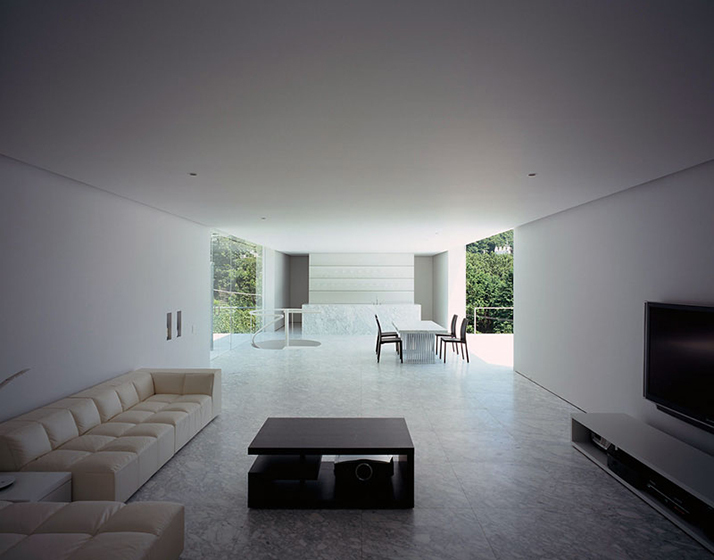 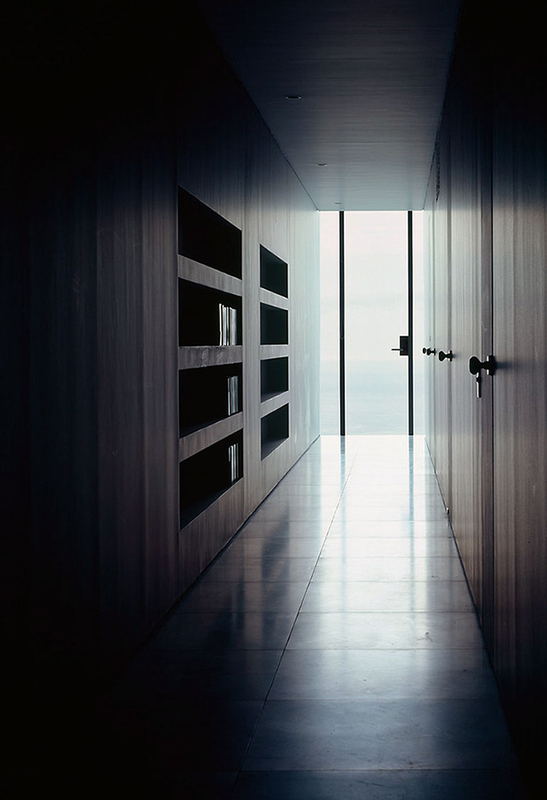 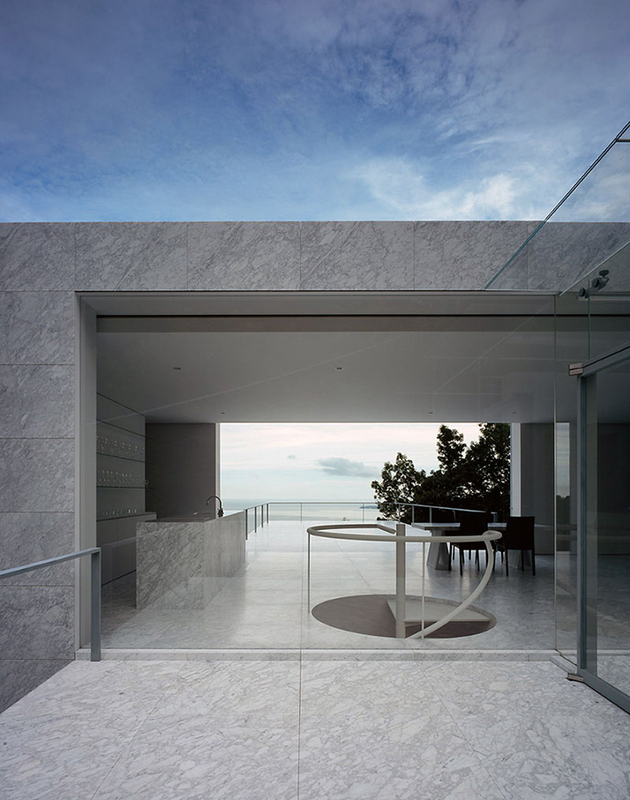 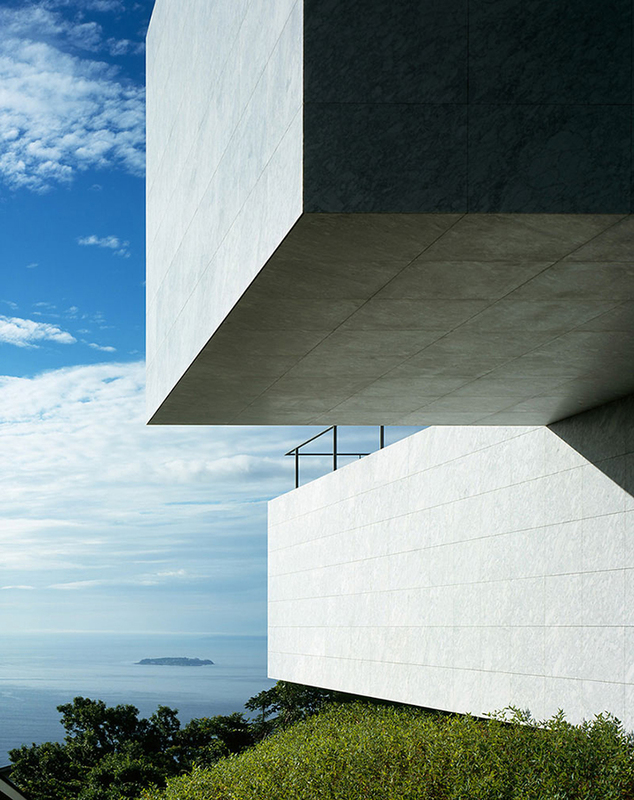 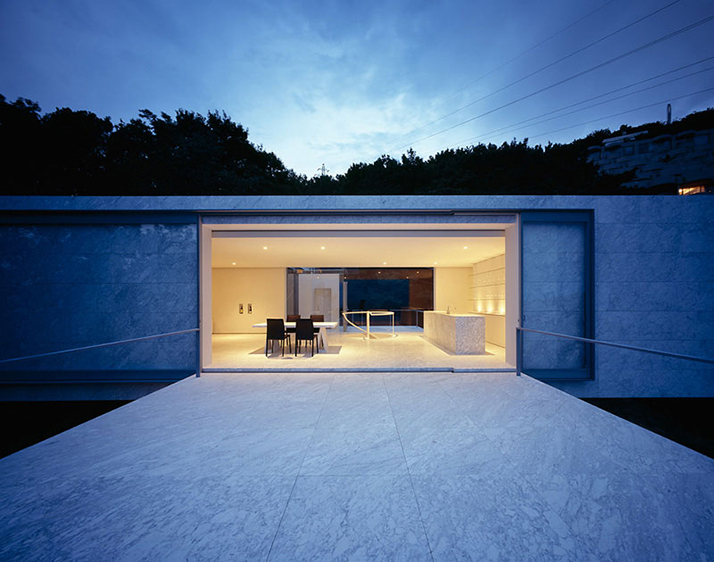 A modern weekend home designed in 2009 by Mount Fuji Architects Studio in Japan. 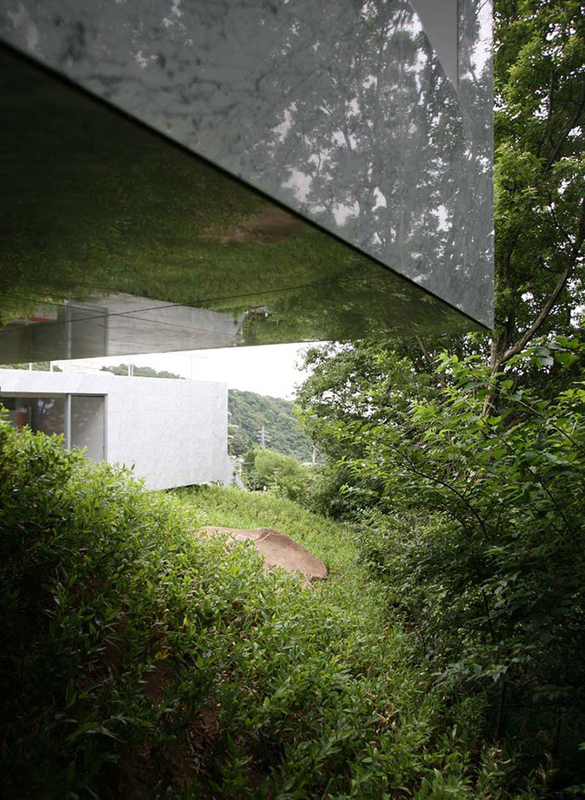 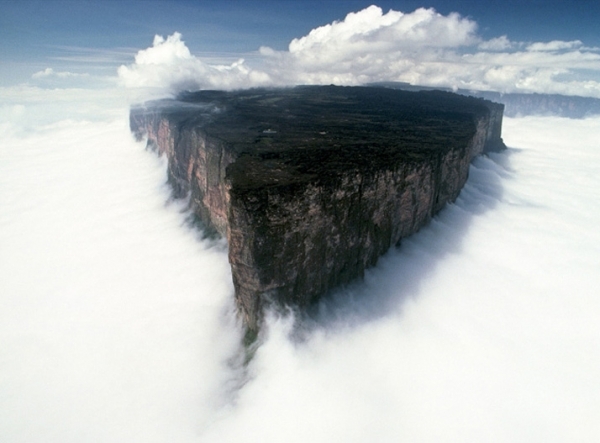 In order to navigate the difficult terrain, it was composed of two intersecting rectangular volumes. 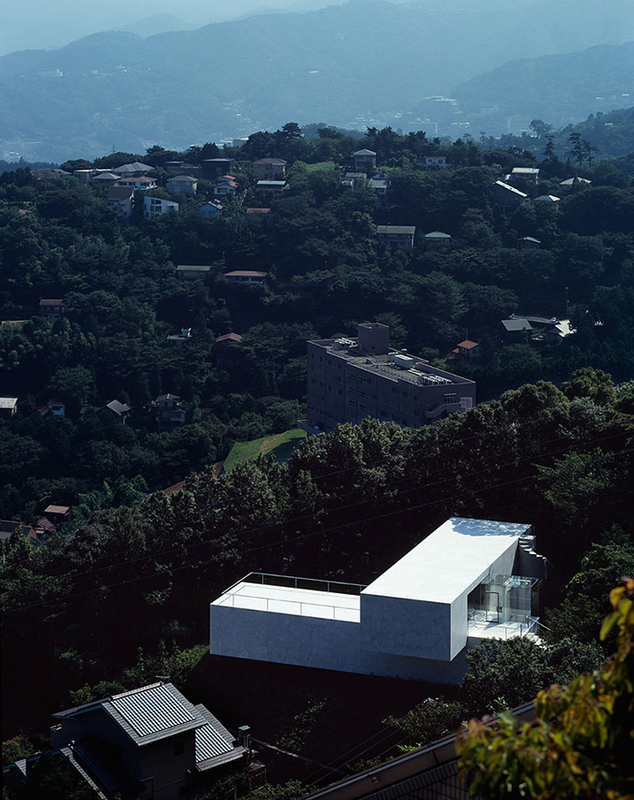 The upper volume, containing the kitchen and living room, opens out to a terrace overlooking the hillside.